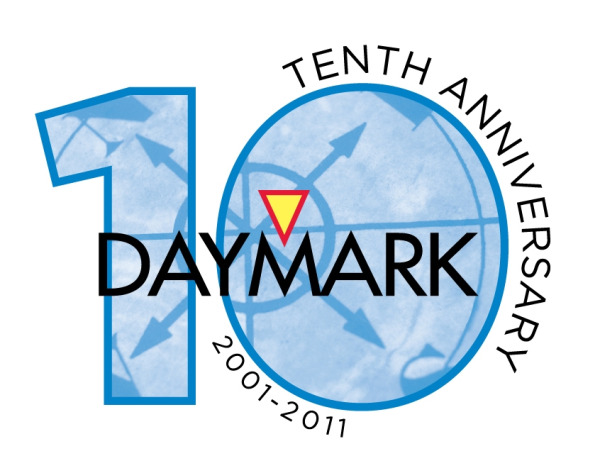 Burlington, MA - August 3, 2011 - Daymark Solutions, a leading provider of information technology solutions to companies in the northeastern United States, celebrates its 10thyear anniversary today. Since its founding August 3, 2001, Daymark has grown from a 4-person start-up with a handful of customers with “storage challenges” to an organization that has helped hundreds of customers navigate the complexity of today’s technology landscape. Daymark Solutions, Inc. is an experienced technology solutions provider focused on architecting, providing and implementing effective server, storage, network and security solutions for businesses in the northeastern United States. Our mission is to help you use technology effectively to solve the business challenges you face today, while making sure your systems are agile enough to adapt to future requirements. For more information, call 781-359-3000 or visit www.daymarksi.com.